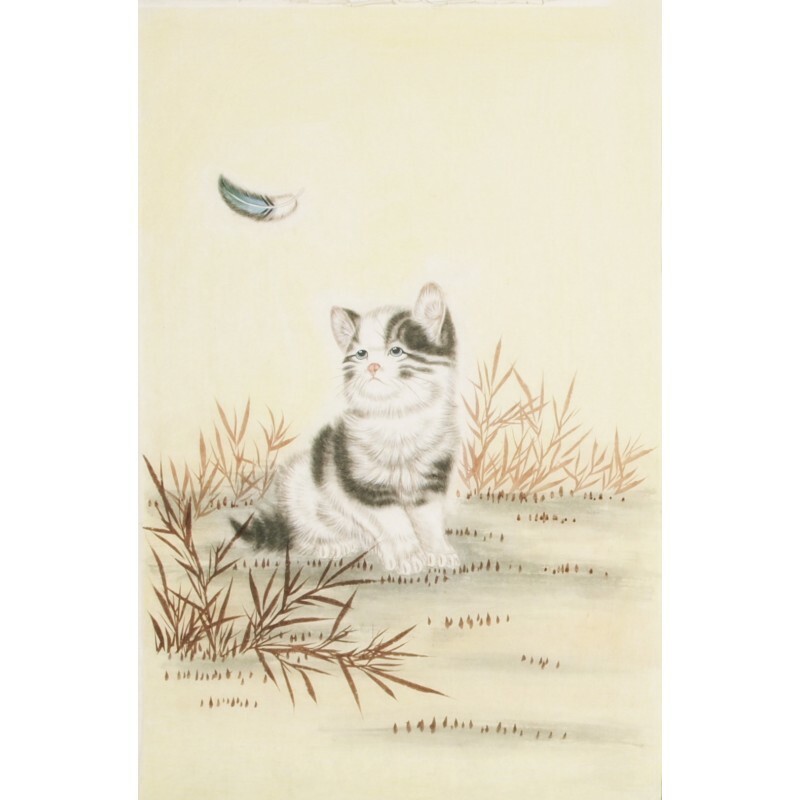 The style of Chinese painting in the Yuan Dynasty is different from other dynasties. It could be characterized by simplicity, transcendence and elegance. During the time, painters always wanted to express spirit and soul in their artwork. They paid attention to portray personality, thought, and emotion hidden in every brush and ink of the painting. Another character of Yuan painting is that the process of their painting was visible. Let's take Huang Gongwang as an example. He painted darker brushstrokes over lighter ones, at the same time the made drier brushstrokes over wetter ones so as to create strong visual effect in his landscape paintings. Huang Gongwang is regarded as one of the Four Great Masters of the Yuan dynasty. 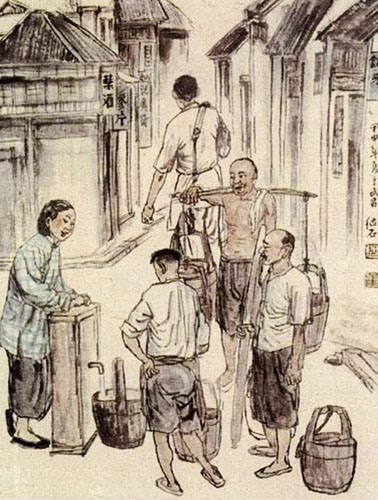 Compared with the other three, he may be the most influential artist on the development of Chinese landscape painting. He didn't start to paint until late in his life just as his interest in calligraphy and music, painting was just another hobby, but this would not change his special achievement in the field of painting. He created many painting in his own styles. He used modular construction in painting landscape which made him unique. We can learn his painting techniques from his essay "Secrets of Landscape Painting". Huang Gongwang lived in the Fuchun Mountain in his old age. And during this period, his famous work Dwelling in the Fuchun Mountains was completed. When we look at this masterpiece, we can see that it begins with a vast expanse of river from the right, and then moves on until it meets the mountains and hills with the painting unrolled. It is not an end; we can also notice that the painting then turn back to the river and marshes and finally end with a conical peak. After we have enjoyed the picture, we can close the eyes and recall the scene that the painting conveys. The landscape gradually fades into the distant ink-washed hills over water. The essence of this painting lies in the combination of lighter ink and darker and drier brushwork. 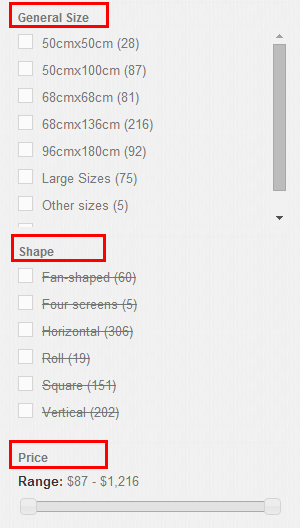 View it in detail, we can find that the shapes were changed a little and contours strengthened. To some extent , the application of the distributed brush dots made it like an abstract style. Using Huang’s unique style of brush and ink, objects like rivers, branches and foliage tends to be of minimalist forms. Dwelling in the Fuchun Mountains is not only the most stunning Chinese paintings by Huang Gongwang; it is also a work represents the essence of Chinese art in the Yuan period. 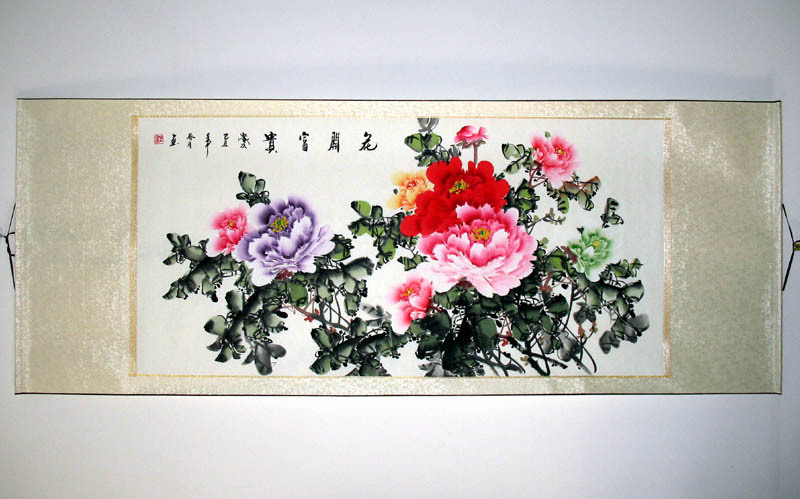 It reflects how perfectly calligraphic techniques and painting can interact with each other. 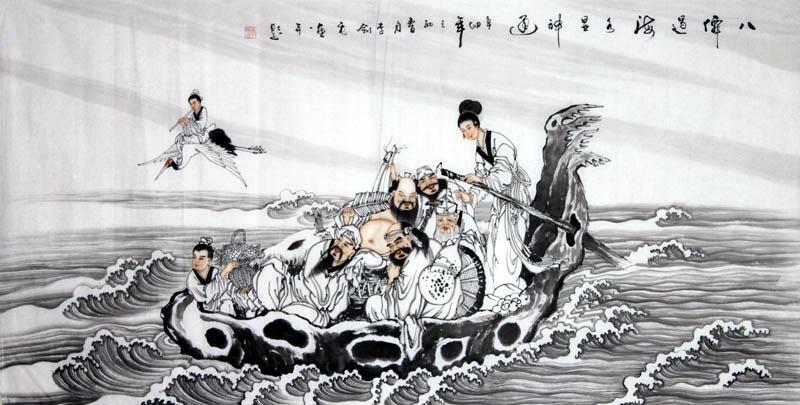 From the painting, we can read the spirit of literati art which have created a new realm of monochrome ink painting. The value of this painting is hard to evaluate for its influence of Chinese landscape painting is still under way. On a side note, movie has been created in the name of "Dwelling in the Fuchun Mountains". 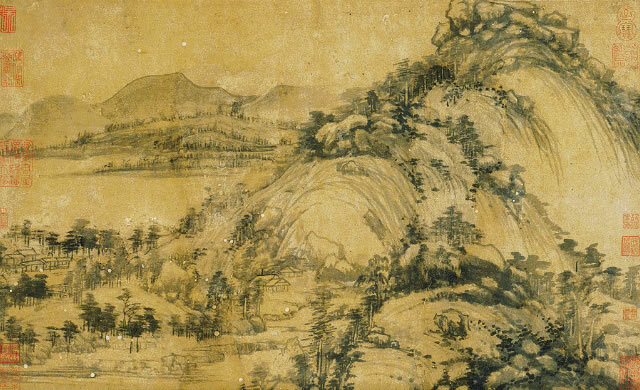 This entry was posted in Chinese Paintings and tagged Chinese Mountain painting, Painting in Yuan dynasty. Bookmark the permalink.